Okay, it’s not really a friend. 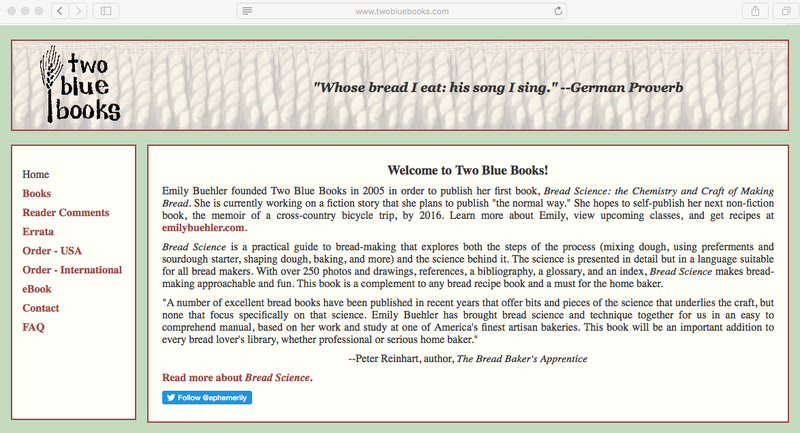 It’s my original Two Blue Books website. I read that Google will be prioritizing mobile-friendly sites in its search results, and it was the final kick in the pants I needed to create a new site. Each time I’ve thought about building a new site, I’ve gone to look at the old one and been arrested by how much I liked it. So before I take it down, I wanted to post this memorial, for ten years of good service. This entry was posted in My News on December 30, 2016 by Emily.